New Yorkers know a deal when they see one, and the 2017 Acura ILX technology features give the vehicle the kind of value drivers should expect from an entry-level luxury sedan.The ILX comes available with features like an On-Demand Multi-Use Display screen, a Keyless Access System, Automatic Climate Control, and much more. While drivers know to expect elegance in an Acura, the 2017 ILX technology features give the sedan a layer of convenience and connectivity that's tough to compete with. On-Demand Multi-Use Display – Using just the simplest swipe of your finger across its gorgeous 7-inch color screen, you’ll be able to operate a range of the ILX’s technologies, enabling you to make changes to the cabin’s climate, your music, and a variety of other systems with no effort whatsoever. Keyless Access System – The ILX makes entering and exiting easier than ever with a Keyless Access System, which makes it possible for you to unlock the doors and even start the engine without having to take the key from your pocket. What’s more, the ILX can even remember your preferred seat positions, as well as your side mirror settings, making this one of the smartest new vehicles on the market. Automatic Climate Control – Likewise, the ILX features a newly designed Automatic Climate Control device which can track the position of the sun relative to itself using GPS technology and set its interior temperature based on its findings. At the same time, passengers can choose to set different temperatures for different sections of the car using advanced Dual-Zone Climate Control as well. These three features are highlights we think set the ILX apart, but they're joined by quite a bit more – like Bluetooth, a multi-angle rearview camera, available AcuraLink telematics, and a state-of-the-art sound system. With features like these, it's easy to see how the ILX fits in next to its siblings like the Acura TLX and RLX. The 2017 Acura ILX technology features make it clear that the automaker is pushing the envelope, with Acura leading other manufacturers into the modern auto world. 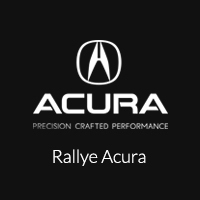 Let us show you how easy and intuitive all of the ILX tech features are with a test drive; contact Rallye Acura today or just drop by our Roslyn dealership to get behind the wheel.